If you’re looking for a ski boot to become an extension of your anatomy, come to Park City Boot Room and see why Matt fits the nation’s elite ski racers, freeskiers and industry pros. Based on individual foot measurements and ski specific biomechanics, your boots will be assessed, custom footbeds are integrated, and shells and liners modified for foot shape. Finally, fore/aft balance and lateral alignment is tested, all for optimal feel and performance on snow! It doesn’t finish with your boots. If you’re looking for a ski boot to become an extension of your anatomy, come to Park City Boot Room and see why Matt fits the nation’s elite ski racers, freeskiers and industry pros. Based on individual foot measurements and ski specific biomechanics, your boots will be assessed, custom footbeds are integrated, and shells and liners modified for foot shape. Finally, fore/aft balance and lateral alignment is tested, all for optimal feel and performance on snow! It doesn’t finish with your boots. The entire ski/boot/binding package is reviewed, integrating the proper boot design, flex, and stance with a specific category of skis and adjusting the overall balance through binding position and toe/heel differential. This is where Park City Boot Room sets itself apart! This “set-up” is crucial and specific to terrain choice and snow conditions, and seldom adjusted as a complete package. Matt Schiller has extensive equipment service experience at the highest levels of skiing. From 2002-2012 he worked for three major Alpine hardgoods brands in Racing and Promotions, most recently at Atomic USA as the National Competition Director. He was Equipment Service Manager for the U.S. Ski Team Men’s World Cup group through the Vancouver Olympics. 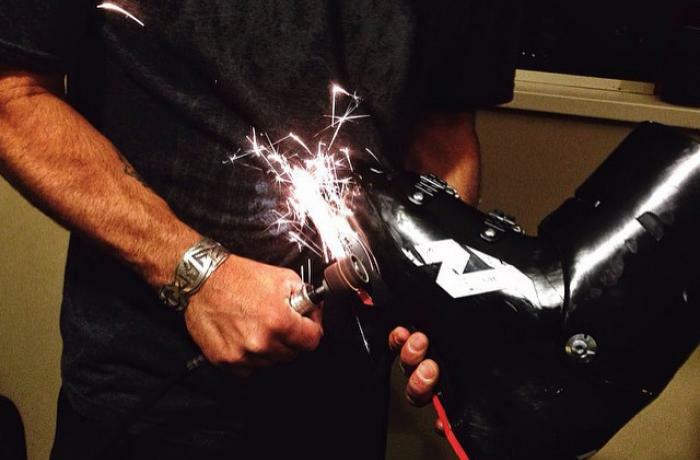 He has just opened Park City Boot Room in Utah, catering to Race, Pro, and Freeskiing communities. He has worked at virtually every level of skiing including stints as a lift operator, ski instructor, ski patroller, race coach, World Cup serviceman and manufacturer’s rep. He holds certifications as a PSIA Level III instructor, USSA National Coach, CSCA Level III Coach and EMT.